The best way to learn more about The Nature Place is by coming to an open house. You’ll be welcomed by many members of the family in our family-run camp! We’ll take you on a tour of the campus (generally two or three families at a time), give you a full picture of what we do and why we do it (through a narrated slideshow), and answer your questions about the ins and outs of camp. Before leaving your home on the morning of your visit to us, please take a peek at the weather and dress accordingly to be outdoors. 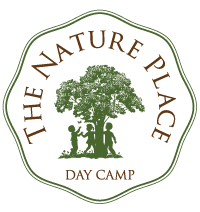 Please call or email us in advance at camp@thenatureplace.com to set up your appointment.